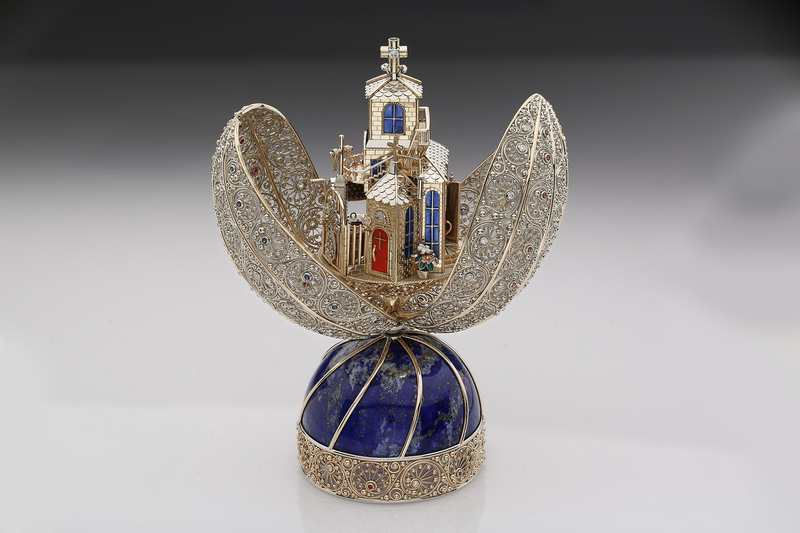 An oval opus, “Discovery of Eggcellence” is a Fabergé-style egg handmade by Aleksandr “Alex” Maryaskin of Simply Unique Jewelry Designs in Yorktown. It’s bejeweled with gems, tsavorite garnets, dazzling diamonds, splendid sapphires, radiant rubies, precious metals and 14-karat gold with a twisted wire frame poised on a crowned lapis base. When twisted open, a trove of treasures manifests in an intricate church scene with a mechanically operable gate and door, blooming flowerpot, latched well, observation deck and bell tower. At the 2019 International Jewellery Design Excellence Awards, a prestigious competition held on Feb. 28 in Hong Kong that invited 137 award-winning jewelry designers from around the world, “Discovery of Eggcellence” was the recipient of the Champion of Champions, the event’s highest honor. 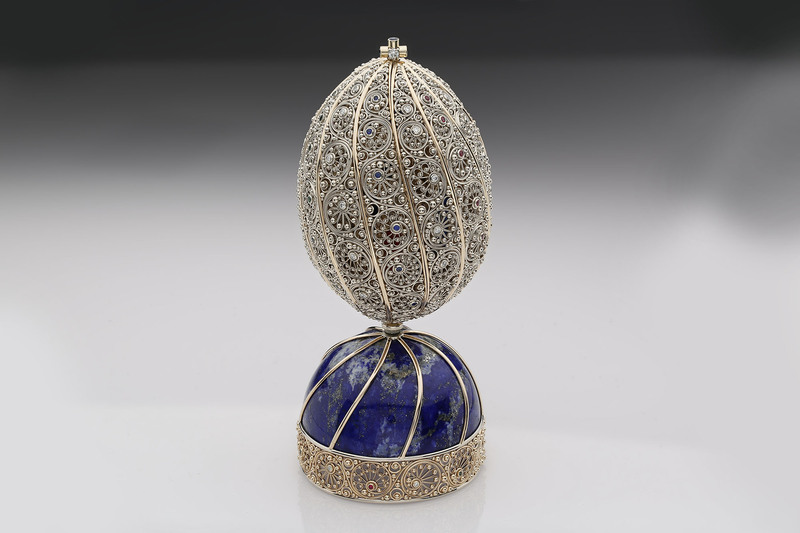 At 6 inches in height and 3.5 inches wide, the entrancing egg was appraised at $217,000 and is for sale at $130,000. After learning English, Maryaskin took a maintenance job in a local apartment complex. 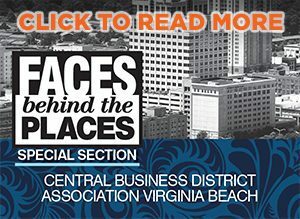 When he was handed a bag of coins with silver quarters from 1964, he melted them and had them drawn into wires to create a silver mirror to sell to Charlie’s Jewelry in Newport News. They took a shine to Maryaskin and his craftsmanship and offered him a position at the shop, where his colleague Tim Wright taught Maryaskin more on the American trade, including sourcing settings for gemstones. The two opened Simply Unique Jewelry Designs in 2010 and have a staff of seven where they create, repair and restore jewelry by hand. 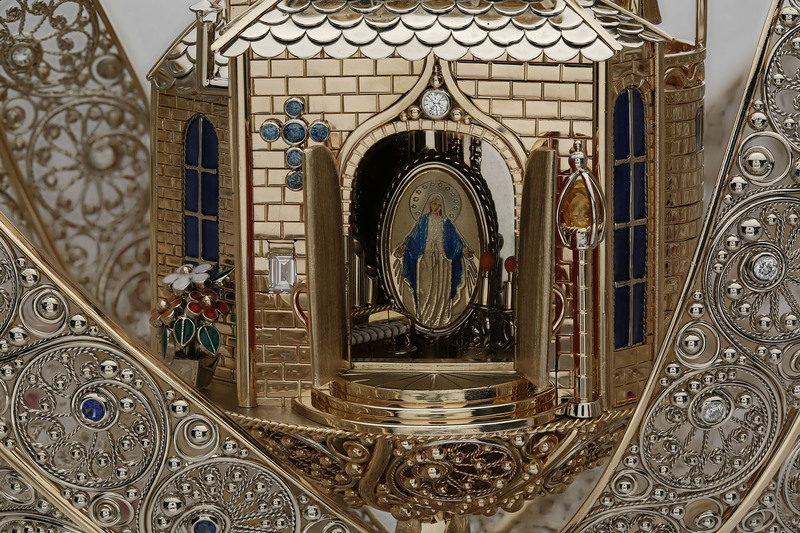 Maryaskin took on the prodigious project of making his memento “Discovery of Eggcellence” for the Ukrainian church where he first performed his restoration work over 30 years ago. “I was always in love with old architecture,” Maryaskin shares. “I wanted to build something old enough from my childhood.” However, the church was leveled to the ground in 2002 after falling into disrepair. Without any sketches or renderings for reference, Maryaskin challenged himself to make his crown jewel—entirely by memory. Now, Maryaskin is hoping that “Discovery of Eggcellence” will sell to be displayed for artistic exhibition so he can purchase the materials for his next masterpiece.